Dirty Sodas are a delicious drink with soda flavor shots of coconut syrup. 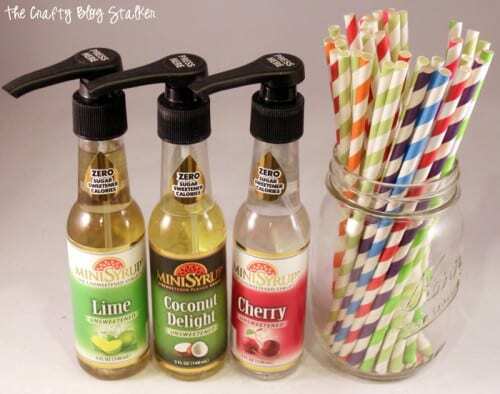 Make your own non-alcoholic mixed soda drinks with MiniSyrup. I received free bottles of MiniSyrup in exchange for writing a review. All Opinions Expressed are 100% my own. Have you ever heard of mixed soda drinks? Oh my goodness, they are so good! There are so many versions, Dirty Coke, Dirty Diet Coke, Dirty Pepsi, but my very favorite is a Dirty Diet Pepsi. Just thinking of one makes my mouth water. I had heard of a Dirty Soda but the first time I tried one was last fall. One of my friends liked them and encouraged me to try. I was hooked from the very first sip. You may be asking, what makes a soda dirty? It is a soda with a little Coconut Syrup added. Some even like to add cream to their drink, but I prefer it without the cream. My first Dirty Diet Soda was ordered from one of those fancy drink places that specializes in mixed soda drinks of all types. It was good, but it was also like $4.00 and that is an expensive craving, especially when I started wanting one every day. They are just so refreshingly delicious! 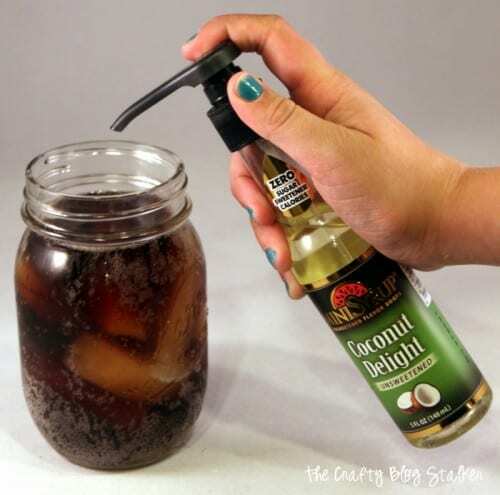 At the very beginning, I noticed my craving was starting to get out of hand and I looked for a way that I could make my own Dirty Sodas for much cheaper so I wouldn’t feel as guilty for my daily indulgence. I originally tried other soda flavor shots, and while it was good, the syrup was expensive so I didn’t feel like I was really saving any money by making them at home. Then one day I stopped at a Maverick to fill my car up with gas and went inside to grab a fountain soda because you have to get a soda when you get gas. The two just go hand in hand. (You may have noticed by now that I have a tiny soda addiction). I was so excited when I spotted some different flavored syrups next to the soda fountain machine. I gave it a try and added a couple of squirts to my soda. Oh, it was so good, and so much cheaper than the fancy soda shop. I was so excited. So even though I didn’t need gas every day I started stopping at Maverick every day for my mixed soda drinks. The syrups are MiniSyrups made by Zavida. I love them so much that I contacted Zavida and asked them if we could work together in exchange for some free bottles of syrup. I was so excited when they sent me these three bottles and I have loved making all sorts of different flavored drinks with them. They are unsweetened and my very favorite part is that each squirt is seriously only a drop of syrup but gives the drink so much flavor. These small bottles are 5 oz but have 300 servings, and each serving is 4 pumps! I love how long one bottle is going to last me. There are many more flavors than Cherry, Coconut, and Lime, and these MiniSyrups work great for hot and cold drinks so there are so many drink possibilities. Let me show you my very favorite Dirty Diet Pepsi. You can substitute your favorite soda and I bet it would still be delicious! Start with an empty glass. 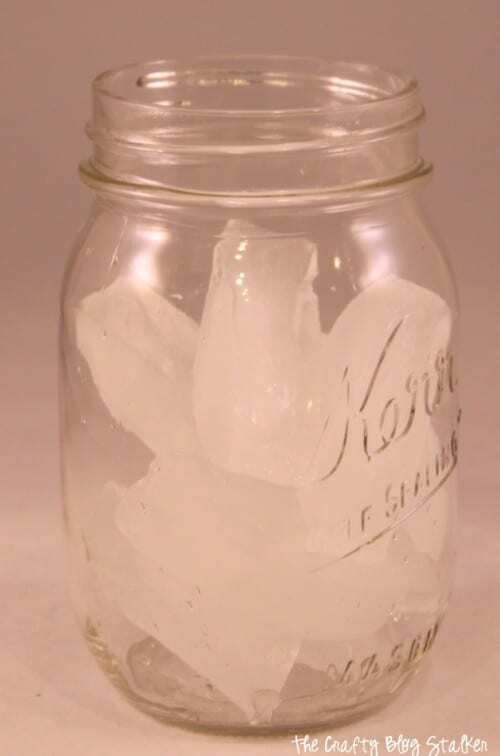 I like to use mason jars because I think they are just so fun to drink out of. Add ice, because you need your drink to be refreshingly cold. 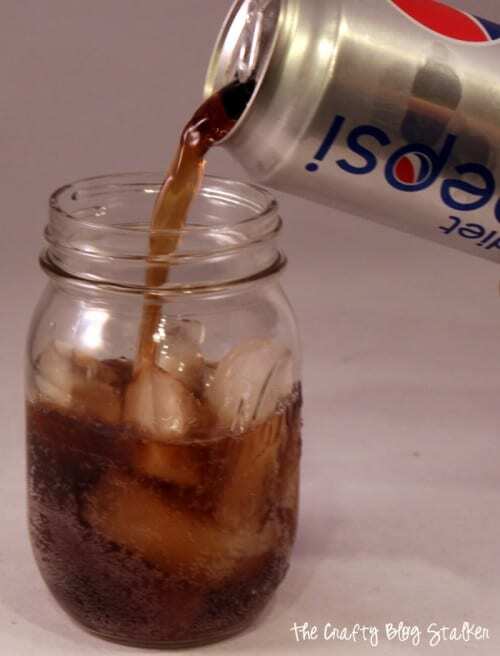 Pour your favorite soda into the glass. I am a Diet Pepsi fan, but any really any soda will work. Add 1 pump or drop to about every 4 oz of beverage or adjust for your own taste. 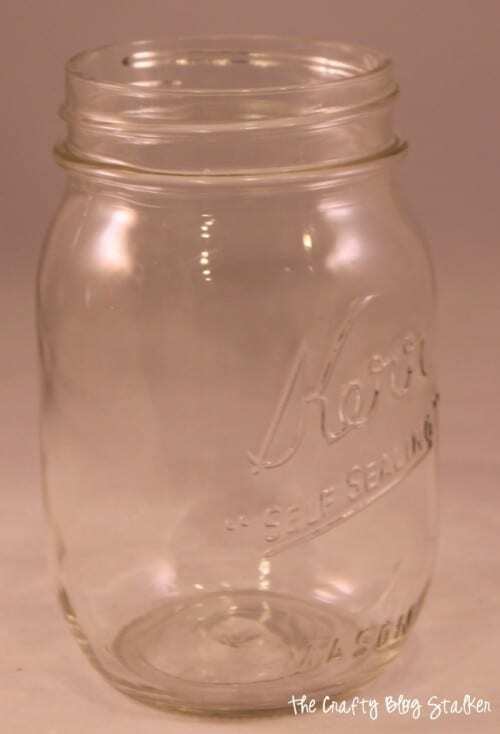 For this mason jar, I added 3 pumps. Add a straw, or drink directly from the glass. Either way, you are going to end with a smile on your face. Have you ever tried a Dirty Soda Before? If not you need to! Go to your local Maverick to give it a try or get your own bottle of MiniSyrup Coconut Delight. You won’t be disappointed. 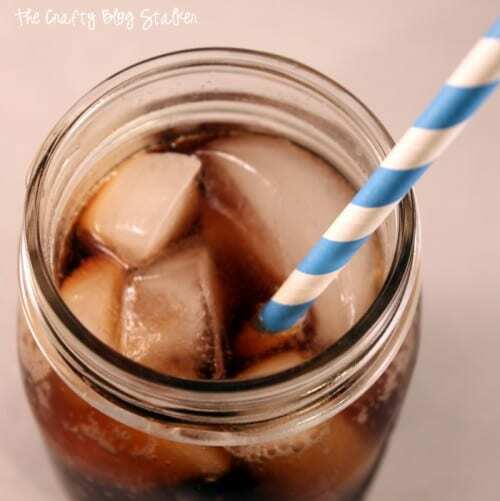 What’s your favorite mixed soda drink? Share and leave a comment below! 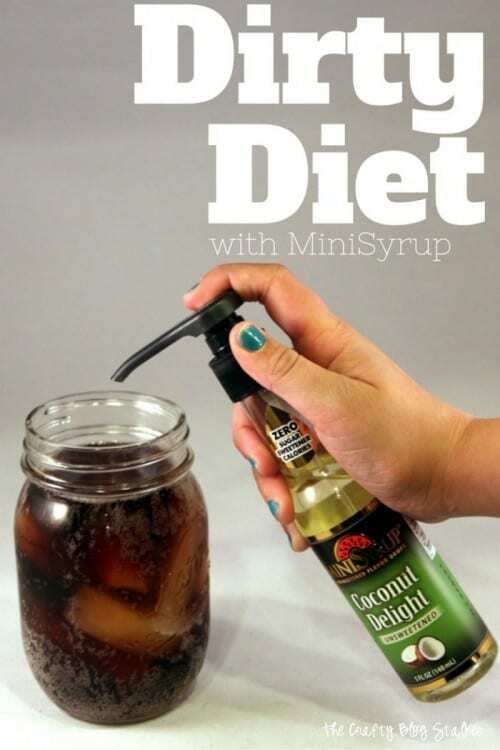 SAVE HOW TO MAKE A DIRTY DIET SODA WITH MINISYRUP TO YOUR FAVORITE PINTEREST BOARD! Have not even heard of this! How is that? Perhaps we Michigan people are a bit behind. My husband is the pop (soda) drinker in the family but I like to indulge now and then. This sounds fabulously refreshing. Shall be looking for it. Thank you for sharing. Ha Ha Ha! I skeptical the first time I tried it too, but it actually is a really good combination. Thanks Ashley! It is my favorite way to drink soda. 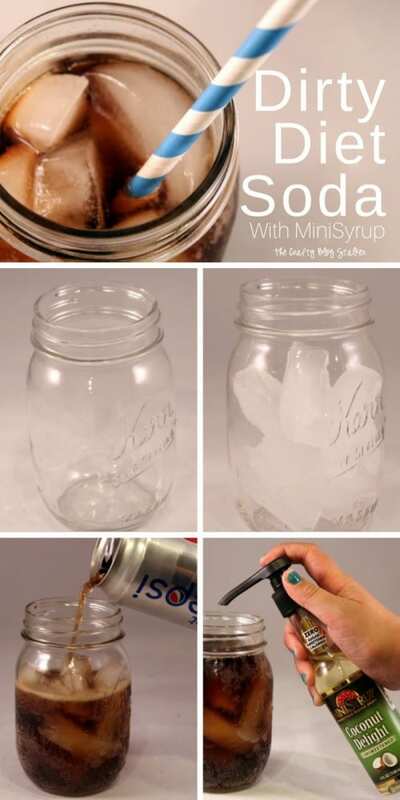 What a great idea to change up your normal ol’ soda! Plus, I like that it isn’t loaded with calories! Can’t wait to try this soon. Thanks! You really should Ginger, it so good! Thanks for stopping by! Sounds delish! I’ve never heard of a dirty soda before! Must try this asap! Thanks for sharing at Dishing It & Digging It! I am so bummed. I have no idea how to purchase a mini syrup bottle. That is how I found her link because I’m trying but so far it looks like they don’t ship it to America. I’m wondering how maverick purchased it or if you can tell me how?